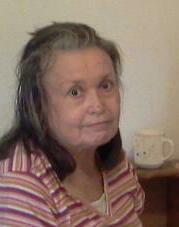 Dedicated to Agnes Johnson (1948-2013) who passed away March 6, 2013. Last Christmas was great because I was able to spend it with you. But I'll be spending this Christmas alone and it makes me feel so blue. We each thought the world of one another. I'm very proud that you were my mother. You were sweet, smart and so very wise. I've been devastated because of your demise. You always said that you loved me and was proud of me but nobody tells me that anymore. I didn't know just how great you were until I lost you and it makes me feel so sad and poor. It brought me joy when I called you each day. But sadly, that pleasure has been taken away. While you were on Earth, I was so blessed. Merry Christmas Mom, you were truly the best. © Copyright 2019 RJohnson. All rights reserved. Who Feels Sorrow For The Little Girl? This page was created in 0.3454 seconds.